Bloody Words 2011 in Victoria! I’m one of those people who always thinks of the end of summer as the beginning of a new year, probably because my kids are still in school. It’s also time to decide which of the many writing events to attend this fall, and to prepare for workshops which I’ve arranged to give. So far, the next three months are already guaranteed to be one of the busiest, most productive autumns yet. One of the largest events I want to mention isn’t happening until June, however it’s worth mentioning now to give you a chance to check it out and register. This is the annual Bloody Words mystery conference which will be held in Victoria, BC, for the first time ever. The event will take place from June 3rd to 5th at the beautiful Hotel Grand Pacific near the inner harbour, which is close to great sites and shopping. Marketing a book doesn’t have to make writers feel like taking a shower. Playwright/author Marty Chan shares his tips and tricks on how to sell your book without selling your soul. Through humorous anecdotes, he’ll highlight his successes and failures to illustrate the dos and don’ts of book marketing campaigns and how to approach self-promotion in a positive and productive way. Participants should be prepared for group work. 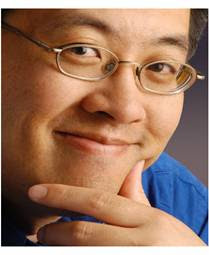 Marty Chan is a cross-genre writer with successes in theatre, television, radio and kids’ fiction. He’s best known for his cross-cultural hit, Mom, Dad, I’m Living with a White Girl. Edmonton audiences may know of his work from CBC Radio, the Edmonton Journal or the Fringe Festival. Currently, he has been entertaining kids across Canada with his hilarious mystery novels and picture book. He works and lives in Edmonton with his wife and their two cats. For more information about Marty, please visit martychan.com. I was just talking to a writer friend of mine who said she doesn't blog because that would take time away from her writing. That's true, but that's assuming she writes a lot, and regularly. Some writers I know do get up in the morning, sit down, and put in a good day's work. Most writers I know slack. Everyday life distracts us and derails our trains of thought. We're certain we can't write coherently unless we have a certain uninterrupted block of time in which to write. I've found that blogging rhymes with unclogging for a reason. Well, actually, there is no reason, it just does. But anyway, blogging--regular blogging--blogging on a schedule--has gotten me in the habit of writing every day. It's gotten me in the habit of being able to organize thoughts quickly and get them down and get them out. It's gotten me in the habit of thinking of writing as packets of thought. In fiction, the packets just connect to each other to form a story arc. And I love reading other people's blogs. I like sampling their writing and getting peeks into their worlds--real or created. So, in the end, I have to say that blogs are definitely a use of a writer's time, but definitely not a waste of a writer's time. In May, my generous, thoughtful brother-in-law gave us a Sony e-reader for our anniversary. He’s been very supportive of my writing and thought we would enjoy it. Back then, however, I was immersed in a tight editing deadline while working a day job. By July the deadline was met, but we were off on a short vacation, and then more time passed. After an interesting discussion with my writers’ group this week, though, and a hands-on look at Sony's and Kindle’s readers, I was inspired to take ours out of its dusty box. With the help of our son, we set up an account with the Sony store and in less than five minutes had purchased three books. To my delight, I also had several free excerpts already downloaded onto the reader. I’m now happily navigating my way around this little beauty. Mine doesn’t have a backlight, which is fine because I don’t really want one. A writing colleague mentioned that she has less eye strain with no backlight compared to reading on her computer. So far I’m loving my Sony. I can change text size, move it from vertical to horizontal, and bookmark where I left off, for starters. Also, the bottom of the screen gives me the page number. There’s even a little orientation I can try. I still have many print books on my TBR pile, so I don’t see myself switching completely for a long time, if at all. Even those who own e-readers in my group still love the feel of a book in their hands, but they also love the convenience of popping their readers in their purses when traveling rather than carrying a suitcase loaded with paperbacks. The only question now is how much of a budget I should set for the e-books I plan to purchase? Do any of you have a reader? If so, what brand, and what do you like about it? I’d love to hear your experiences and tips to get the best out of this wondrous gadget. There is a wide range of basic emotions, including anger, aversion, courage, dejection, desire, despair, fear, hate, hope, love, sadness, disgust, joy, surprise, happiness, interest, wonder, sorrow, rage, terror, anxiety, contempt, distress, guilt shame, grief, elation, subjection, pain, pleasure, expectancy, panic. Then there are a whole slew of secondary emotions such as curiosity, dread, tenseness, uneasiness, worry, alarm, fright, horror, mortification, shock, terror, amusement, ecstasy, bliss, elation, delight, jubilation, enthusiasm, excitement, exhilaration, fondness, attraction, adoration, caring, sentimentality, melancholy, despair, gloom, homesickness, embarrassment, humiliation, bitterness, resentment, loathing, hate. With such a palette of emotion to choose from, every character should come alive, yet all too often the emotions that drive characters in books are the heavy hitters: fear and anger (thrillers) and lust (romance). Perhaps this dearth of emotion is a holdover from the strong silent hero, the one who never showed emotion. Now that female characters have largely taken over the role of hero, they seem to be just as devoid of emotion, as if they are male characters disguised as female. I’m not advocating weak and emotional women characters, but still, tears (for example) are a part of human behavior and a way to express emotion. Besides, tears are not about weakness, but about releasing tension, so technically, a character who cries is as strong as a character who picks fights to relieve tension -- though perhaps not quite as interesting to today’s readers. When writers do let their characters get emotional, all too often the sentiment comes across as an artificial construct that has nothing to do with either the character or the story, but simply added to evoke empathy from readers. Yet for these strong feelings to come across as real and for the characters to come alive with grief or elation, hope or bitterness, love or hate, the emotions have to be an integral part of the story. In an emotional state, people often act differently -- those falling in love behave irrationally at times (because, after all, love does appear to be an irrational state). Also, in an emotional state, people often see things differently -- lovers become finely attuned to the object of their love and to the sight of others in love. A story needs to reflect this change of perspective. What was once important is no longer, for example, the executive who decides to chuck it all when she falls in love. This might be trite, but at least it shows emotion in action. And emotion is action. By embracing emotion, the character does something, goes through a change, finds a resolution. It doesn’t matter if the emotion is upbeat or downbeat, positive or negative -- the effect is the same. So don’t be afraid of emotion, either yours or your character’s. 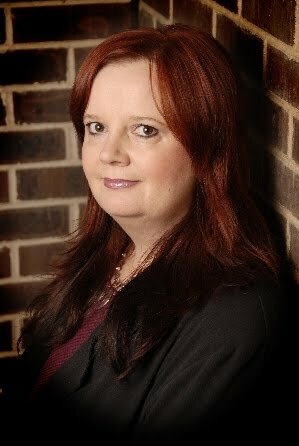 A writer I met recently, Nancy Ancowitz, author of Self-Promotion for Introverts, blogs regularly on PsychologyToday.com, and her post Networking Isn't About Using and Getting Used inspired me to share how I went from introvert to extrovert. Though I'm not an introvert, I used to be. Really! I was the shy wallflower who blended into the wallpaper, couldn't speak in public and was barely noticed in a crowd. I had poor self-esteem and zero confidence. But I'm now an extrovert and loving it. When I tell people how I used to be, they often laugh and think I'm joking. I didn't set out to "change" myself. It just happened. With one key ingredient. CONFIDENCE. I think once you feel you know what you're doing, even if you have to fake it at first ("Fake it 'til you make it! "), confidence steps in and you learn how much more you're capable of. I had no idea the mumbling teen who froze in front of an audience would win a talent show for singing and playing guitar. And that teen had no idea she'd one day stand up and speak in front of hundreds of people three days a week. As an author, I have great passion in what I do. With passion comes CONFIDENCE. That's the key! Find what you love doing and the confidence will come. I'm also a book marketing coach and I've had the pleasure of working with some "quieter" authors who started off feeling very shaky about their marketing and are now embracing it with confidence. With regards to networking, Nancy's tips are right on. I believe the key is building relationships, not pushing sales. Relationships will naturally inspire sales. Yes, you can mention new releases if you're an author--and you should. But you don't have to run around Twitter, MySpace and Facebook saying, "Please buy my book. Please buy my book." Be genuine. Be friendly. Be interested. Be interesting. Be a friend. Learn, live, love. The sales will follow. Today I wish everyone all the best in CONFIDENCE. I’m the first to admit that I’m not a well-read person by academic standards, which is neither a confession or a boast, just fact. I prefer to read light genre fiction by new and unknown writers, and the occasional mainstream novel. But I was intrigued when I came across an article by a writer named Anis Shivani who wrote an essay in The Huffington Post about sixteen writers (including poets) he considers overrated. Most of these writers are Pulitzer Prize winners whom I’ve never heard of, except for Amy Tan. What was particularly interesting, though, was why Shivani thought these sixteen writers are overrated. If I understood his article correctly, he believes that there are no real vocal critics anymore and those who do review have been reduced to nothing more than “blurbists”. The academics controlling the growing number of creative writing programs in the U.S. have no real interest in contemporary literature except to trash it. Also, these same people consider their work superior to much that is out there. Shivani also believes that these same academics are fostering a “neutered multiculturalism” and politically correct stance in order to keep their jobs, their awards, and possibly future grants. Is he right? I don’t know, but I’d love to hear your thoughts on this. Barnes and Noble is For Sale. Any Buyers Out There? Over recent months, I’ve written a few blogs about new trends in publishing that include the explosion of e-books and independently published books. Both of these publishing options are taking a significant bite out of profits previously enjoyed by traditional publishers and bookstores, so it wasn’t a surprise to read that Barnes and Noble is now selling its 720-store chain. To say that this is rocking the already battered traditional publishing world is a bit of an understatement. It’s clearly another part of the ongoing upheaval that started several years ago but which has escalated over the past three years, due in part to the 2008 recession. In an article by Julie Bosman in the New York Times, the reasons for the sale also include growing competition for Amazon and Apple, plus a decline in the number of book buyers. Of those still buying books, more consumers are changing where they make their purchases. Rather than search out a bookstore, many choose to purchase a discounted book while shopping for other items at their local WalMart, Target, or Costco. Also, a growing number of peopke are ordering books from online sources. If You’re Under Stress, Can You Still Write? I’ve been following an interesting discussion on a Yahoo forum called Murder Must Advertise. MMA is a really helpful place for new and experienced authors to learn about book promotion and, yes, the writing life, among other things. One of the issues raised this week was the difficulty many writers face while trying to work while under stress. After the 9/11 tragedy, this topic appeared on a number of forums, where writers lamented the loss of the desire and/or the ability to write for a period of time. Naturally, this particularly affected writers in the New York area, but it stretched much farther than that. Many of these people felt that after witnessing so much real death and destruction, creating fiction was unimportant and even meaningless. As time passed, however, I know some of these people (maybe all) returned to their work. Given the tough economic times many Americans face these days, writers have also been hit with job loss, financial stress, ongoing health issues, and family problems. Once again, these personal struggles have hampered some writers’ ability to create. Thoughts wander and concentration is reduced. It happens to all of us at some point. Everyone has different ways of coping with tough times. My tough times came through financial worries in the early days of my marriage, then later, the death of a parent and the illness of my child which lasted three months before her health began to improve. Over time, she regained her health, but those first weeks were horrible. Yet, I kept writing because it was the only thing that took my mind away from real-life worries. My concentration wasn’t great, but I thought if I could write for a half-hour or even forty minutes a day, then at least I was making progress and that kept me grounded and sane. When you’re under stress, what do you do to cope? Are there any tips you’d like to share with others? Comments are always welcome. Today launches my new short story collection, kind of a mix between Stephen King's short collections, The Twilight Zone and The Hitchhiker. 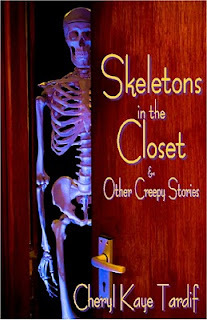 In Skeletons in the Closet & Other Creepy Stories you'll find 13 suspenseful shorts, including my novelette Remote Control. Some of the stories are based on true events. 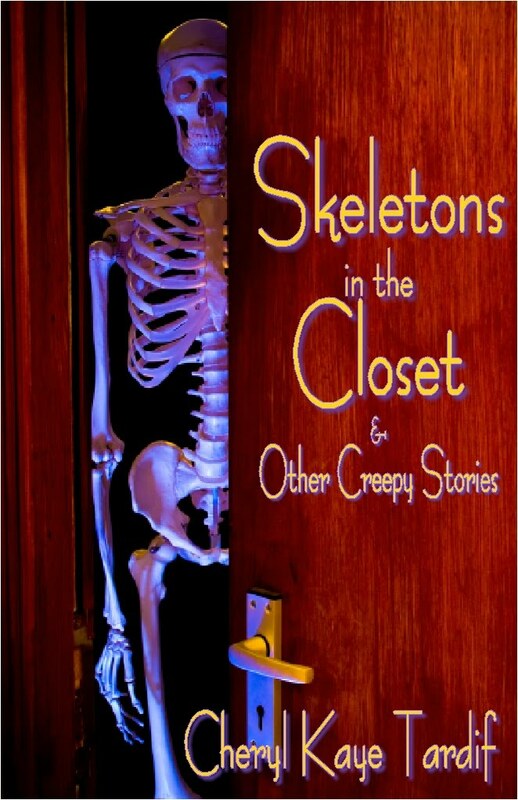 Skeletons in the Closet is now available in ebook edition for only $2.99 US at Amazon's Kindle Store and Smashwords. Pick up your copy today! It makes an awesome gift for anyone who likes a good scare.